Simmba takes forward the story of Ajay Devgn’s Bajirao Singham, the morally upright police officer in charge of Shivgarh in Maharashtra. Legendary tales of Singham’s (which means Tiger) bravado has inspired a child from the area to follow in his footsteps. He grows up to become ACP Sangram Bhalerao, also known as Simmba (baby tiger). 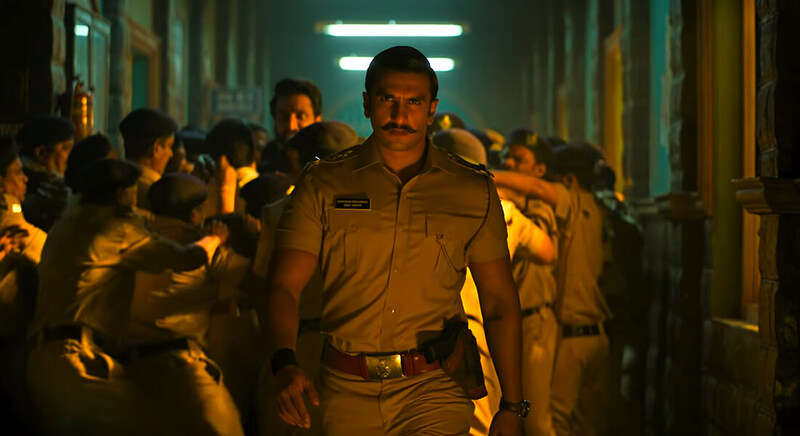 Ranveer Singh’s Simmba is goofier than his mentor and also more relaxed with his enforcement of law and order. Simmba declares that he became a cop to get rich, not to help others. And then a young girl in the area is raped which forces Simmba to channel his inner Singham. He doesn’t say ‘Aata Majhi Satakli’, but he’s suddenly pummelling the bad guys and vowing to protect the women of Shivgarh. The trailer of Simmba is everything you’d expect it to be – the ear-splitting music, a corrupt antagonist (Sonu Sood), and muscular men and big cars being flung around are all familiar Rohit Shetty motifs. And finally there’s Ranveer Singh slipping into this OTT universe with great ease. For Singham fans, there’s an appearance by Ajay Devgn also thrown in. Simmba is directed by Rohit Shetty and co-produced by Reliance Entertainment and Dharma Productions. The film releases on December 28.